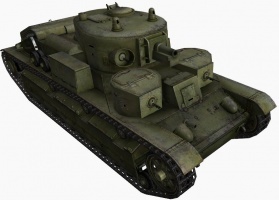 This article is about the Soviet medium tank. For the American TD, see T28. 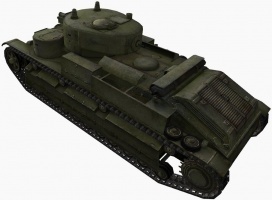 The T-28 is a Soviet tier 4 medium tank. This tank is best described as an "odd" tank. 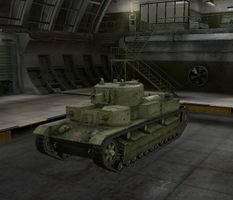 It is one of the longest tanks in the early tiers, making it a proverbial barn door for incoming fire and hard to hide; a fact not helped by its rather poor armor. Having said this, it is surprisingly fast and maneuverable. Although its initial guns are weak, it can eventually equip some very effective armament. The 57mm guns are very accurate and have plenty of penetration, with have a fast firing rate. This gives them a very high damage output, assuming one can survive and fire can be sustained. The contradictions in attributes lead to the T-28 using some rather odd tactics; it needs to stay out in the open to apply its damage, it can't slug it out with the heavies, and its size means stealth isn't much help either to survive as a medium. Caution and long range, patiently-laid fire are the best policies with the T-28. Let your team mates push forward and find the enemy, then use your speed and acceleration to get to the place you're most needed, like a fast TD. Then, use your excellent firepower to help tip the balance. A T-28 can also be surprisingly effective spotter (despite its bulk) due to its speed, and sight/spotting/flanking games are a key part of this tank. 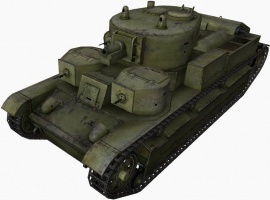 The T-28 leads to the KV-1. Prone to ammo rack damage. This tank plays well as either a flanking skirmisher or a sniper. Once upgraded, this tank combines speed with strong firepower. However, most players have a difficult time achieving that. Its survivability depends on not being spotted; camo is barely an option due to the shape and large crew, and vision equipment is costly. Once you get some upgrades, you can use your mobility to move around the battlefield with ease, position yourself where you're needed, and fall back before being overrun. While it may look more impressive than the M3 Lee or the Pz.Kpfw. III, the armor on this tank is not very effective in battle, as it is not very thick or well sloped. Compared with other tanks, the sides are easy targets, making this tank much easier to de-track, so it pays to be aware of the tank's alignment both while still and while moving. You should apply a camo pattern and a camo net at the least as you will be still to aim while firing, and if possible, optics (or if you are headed to the TD line, binoculars) to spot targets for yourself, while keeping outside of their vision range. Unless you have played the BT-7 or the SU-8 before to unlock the engine upgrades, it is advisable to begin with sniping, as the stock engine doesn't have the power to make skirmishing feasible. At the same time, the gun it starts out with is essentially indirect fire artillery and not very effective, and most players agree that it is best to upgrade it right away for the ZiS-8. If you can survive, the awesome ZiS-4 gun with its astounding accuracy (on par with Tiger's L/71), great penetration for the tier, and DPM (good damage and good rate of fire contribute) can stop enemies dead and squash lower tiered tanks. 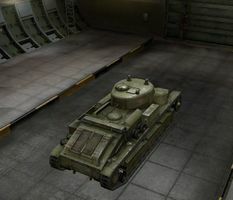 While not useful for retreating backwards, the relocating mobility of this tank helps a lot, and so a person can easily single-handedly control tier 4 matches, and some tier 5 matches. Since the ZiS-4 is so good (it is great even on the T-34), this tank still remains competitive in tier 6 matches, being able to penetrate the common KV-85 from the front, but the VK 36.01 (H), T-150 and M4A3E2 Sherman Jumbo can give this tank some trouble. Arty players tend to regard the T-28 as a free kill, and if they can score just one direct hit that’s exactly what you’re going to be. Your best bet is to stay in cover as much as you can and if you’re stuck in the open keep moving. If you get spotted you can bet that every arty player the enemy has is going to be targeting you. 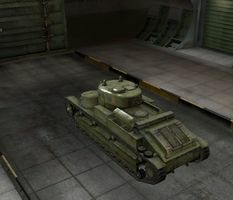 This tank has two Radio Operators, and thus it can take more Radio Operator Skills/Perks, but the best available radio only has a range of 360 meters. This unfortunately ruins what would otherwise have been a very valuable situation. View range equipment (binoculars) is a good pick for this tank to help you engage at long range. 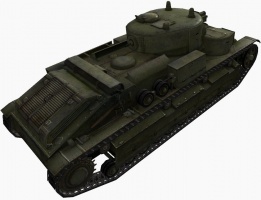 The 76 mm L-10 gun and the 10R radio carry over from the T-46 and if you played the T-34 previously before getting this tank, the ZiS-4 is available and can be equipped immediately upon purchasing this tank. If you have played the BT-7 or the SU-8 previously, the M17F engine can also be equipped right away. This page was last modified on 19 February 2017, at 13:18. This page has been accessed 378,251 times.